This olive and cereal producing business is located in the trulli and manor farm area, in the Martina Franca hills. 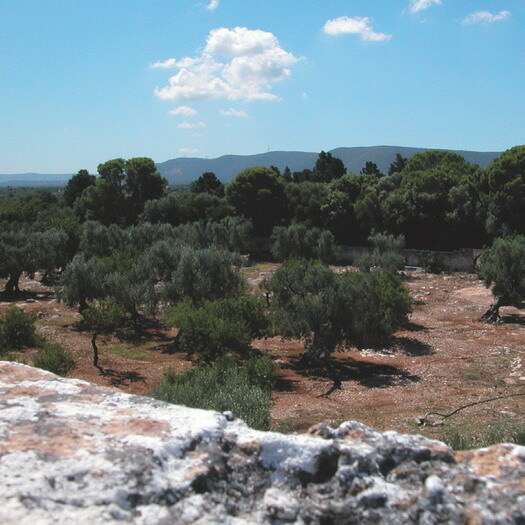 A mild climate in addition to clayey, sandy sub alkaline terrain benefit cultivation of the typical Puglia region olive varietals which are harvested at optimal maturity and milled in a separate oil mill. The oil produced is yellow with green tints. It envelops any dish with the intense aroma of fresh olives. Its high intensity fruitiness with delicately bitter notes enhances dishes and titillates the palate. The company boasts a limited production, equal to 10% of total production, of gravity-separated oil, recommended in babies’ diets and for prized dishes. The company produces different types of extra virgin olive oil which are distinguished by careful selection of the various olive cultivars and varietals for processing.